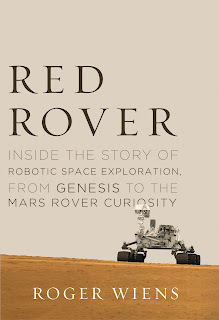 This week on the Physics Central podcast we're talking about an awesome new book called Red Rover: Robotic Space Exploration from Genesis to the Mars Rover. 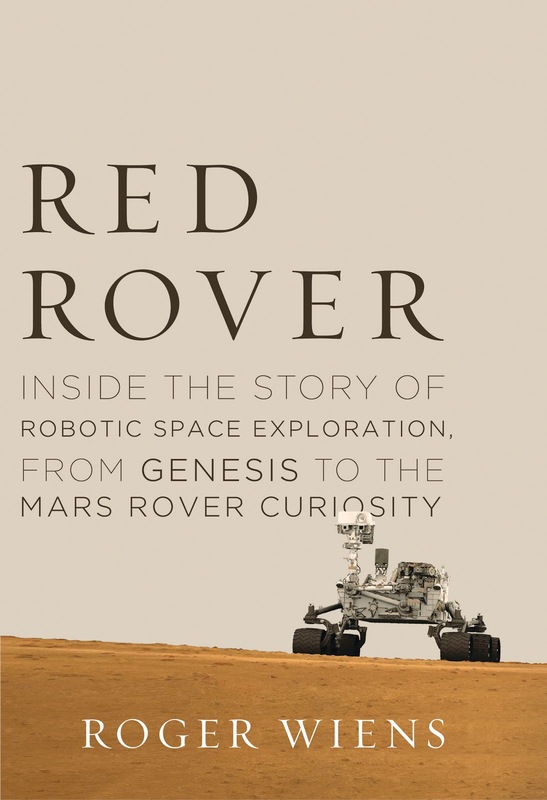 The book's author Roger Wiens talks with us about his career working on robots that are sent to explore space. Wiens worked on the Genesis space mission, which launched back in 2001, and he is the principle investigator on the ChemCam instrument aboard the Curiosity Rover. In his new book he talks about the ups and downs and successes and failures that come with trying to design and build these instruments, not to mention navigating political hurdles and the curve balls that life throws at all of us. I love that Wiens isn't a dramatic kind of guy—he really loves the science—but a story like this one can't help but be full of drama. But in case you're more one for the science, let me tell you a little about the projects Wiens has worked on. Genesis caused a media splash when it crash landed in the Utah desert in 2004. The mission spent 3 years out beyond the orbit of the moon, where it collected samples of the solar wind, and then brought those samples back to earth (it was the first instrument to travel that far from home and then return). The solar wind is a bit of a living fossil: it's believed to contain the same mixture of elements that existed in the pre-planet days of our solar system. Scientists had previously believed that the sun's elemental mixture would match that of the Earth—since the two came from the same dust cloud. But Genesis told a different story. The oxygen on Earth is over 99% oxygen 16. That's an isotope of oxygen; which you can think of as a different flavor. There are hints of oxygen 17 and 18 as well. And the particles that Genesis collected from the solar wind contained more oxygen 16 than Earth. Which means at some point in our planet's history, it acquired a higher concentration of heavy oxygen elements. Those things don't just pop into existence: a chemical or physical process has to take place to make the change. So what happened to the Earth that made this possible? That's still a largely unanswered question, but thanks to Genesis, scientists are one step closer to finding the answer. And then there's ChemCam. Science-fiction-come-to-life-ChemCam. This instrument shoots a laser beam at rocks on Mars and can quickly tell scientists what those rocks are made of. The scientists then decide which rocks they want to study more. The laser beam is cheap to power—it only requires a few watts. It is only the size of a pinhead, and it only lasts for 5 billionths of a second. But, within that small area and short time frame, it packs in the energy of over a million light bulbs. The laser beam hits another material and gives it such an energy punch that it radiate. A telescope on board the rover catches the light, which is like a fingerprint, revealing the make-up of the material that ChemCam just blasted. At the end of our chat, Wiens read a section of his book that mentions all of the robotic missions that are currently exploring our solar system. I wasn't aware of all of these, and I've had a great time learning about them since. I hope you do as well. "Mechanical creations from Earth are orbiting Mercury, Venus, the Moon, Mars, the asteroid Vesta, Jupiter, and Saturn; others are on their way to Pluto and to land on a comet; and three others are on their way out of the solar system. Another landed on the tiny asteroid Eros, only about 10 miles across, and a European craft landed on Saturn's larged moon, Titan. Samples have been returned robotically from the Moon, from a comet, from the Sun—in the form of the solar wind—and from the asteroid Itokawa."